The Housatonic team of PMI/PMP-certified Project Managers and experienced IT professionals has been around since 2001. Prior to developing Project Plan 365, we did hands-on project planning and scheduling in multiple industries, including Manufacturing, Banking Mergers and Acquisitions, Insurance, Construction, Education and Information Technology. 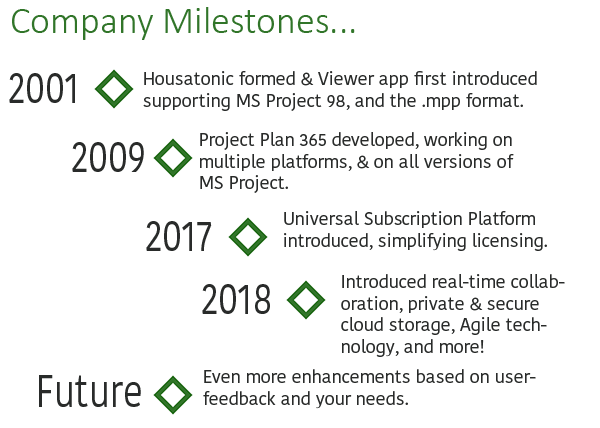 We were some of the first users of Microsoft Project 98, and early adopters of PMI methodologies. Housatonic Software pioneered the development of the world’s first project viewer for MS Project files back in 2001. Our Project Viewer app allowed millions of users worldwide to save money instantly on Microsoft Project licenses, and view .mpp files without the heavy overhead of MS Project. As the Internet exploded (along with the Project Management industry), we watched MS Project getting more and more complex, less cloud-ready, and with no portability on other platforms like Mac, IOS or Android. We also watched as new startups built new Internet-based project collaboration tools, but without a robust scheduling engine and without a deep understanding of real world project needs – so Housatonic set about to fix that. 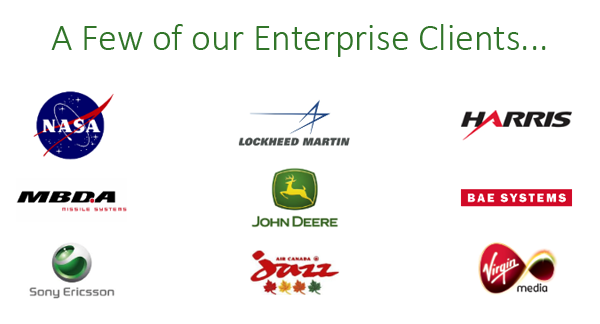 In 2009, we decided to leverage our expertise and build a simple and intuitive tool that looks and feels like just like Microsoft Project, but would run on any device, and integrate with any major cloud provider. In 2018, we took our now mature platform and added rocket fuel and jet packs; for example, we added subscriptions plans that include our revolutionary real-time collaboration technology (rTc), private & personal cloud storage, and a host of other new features designed to add power to your project plans. Three new Project Plan 365 offerings were introduced: the Individual (PM) plan, Business (PMO) plan and the Enterprise (EPM) plan subscription plans are rocking the PM world and available for purchase here. Today, Project Plan 365 is used by hundreds of companies worldwide, and on thousands of platforms and devices, and as we continue to add new features and enhancements, we invite you to try Project Plan 365 and then let us know how we can better meet your needs through continued improvements going forward.